You may also able to see wild life on Bali rain forest such as beautiful Blue Javan Kingfisher. Ayung Rafting offer a very unique sensation that you won’t get it on other places. The river has clear water and very fresh if you would like to swim, Ayung River has 12 kilometers route and 2 hours rafting adventure that you will get. The river offer class II – III level rapids which is very appropriate for beginner and children. 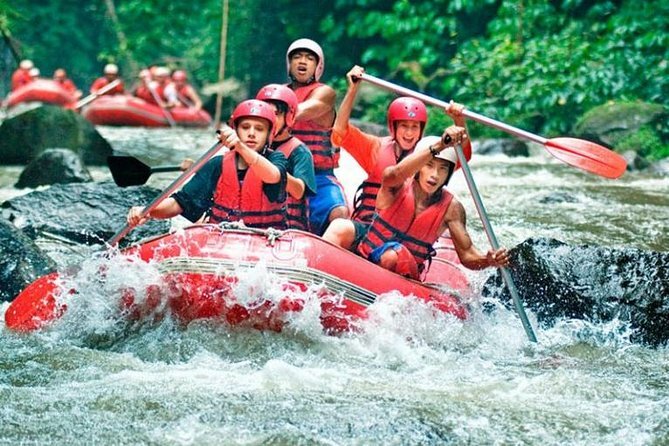 Your rafting adventure then will be on Ayung River, the biggest and longest river in Bali. The Ayung River is class II and may rise to class IV during rainy season. For approximately 2 hours you will experience the natural scenery, wildlife, and exotic plants of Bali. A buffet lunch is then served in a restaurant with stunning Ayung Valley views, helping you feel relaxed after your adventure. The restaurant has all amenities, including WiFi.